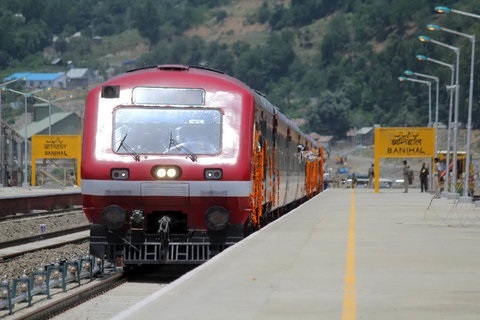 Srinagar: Authorities Tuesday suspended train services on Srinagar-Banihal track following a gunfight between militants and government forces in Ratnipora area of Pulwama district. The decision, according to a railway official, has been taken as a precautionary measure due to apprehensions of law and order problems in south Kashmir. A gunfight rages in Ratnipora village of Pulwama district after army’s 50 RR cordoned off the area on specific inputs about the presence of militants in the area. As the operation intensified, hiding militants fired upon forces triggering a gunfight.